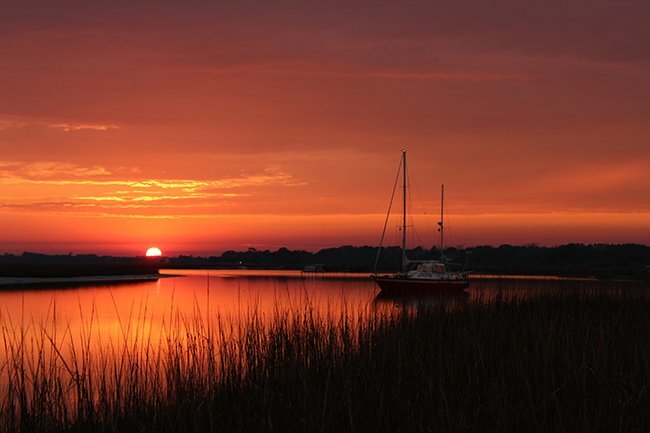 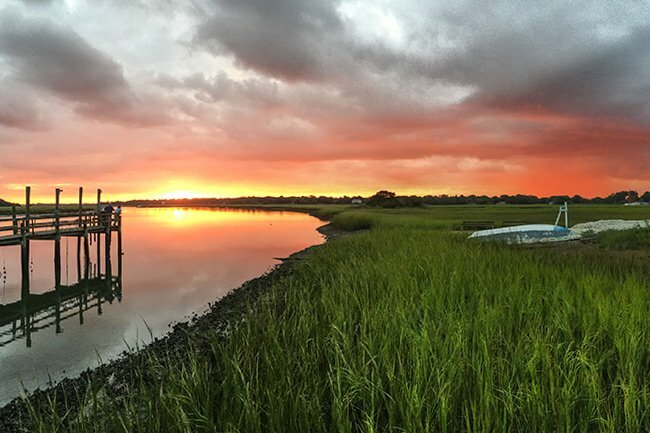 The sun sets over the tranquil Folly River, which flows along the back (north) side Folly Beach. 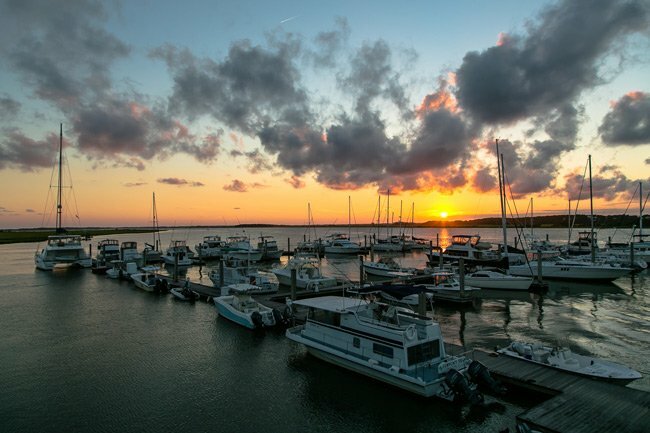 A friendly and relaxed beach town, Folly Beach is lovingly known as “The Edge of America.” Long quiet, new developments and a lively downtown area now make it a favorite among visitors. 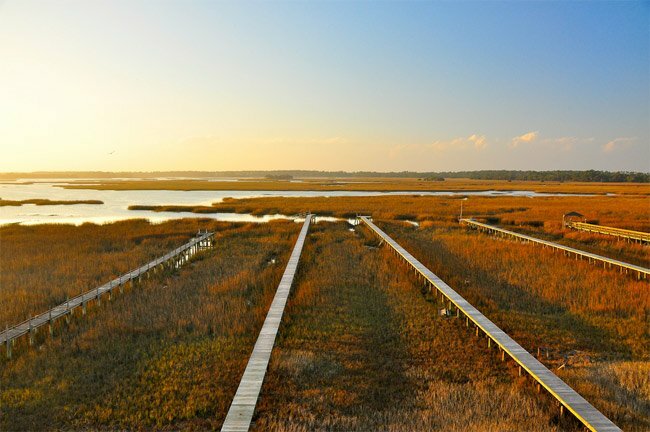 It is also a popular surfing spot, where surfers go to The Washout to catch some waves and enjoy the sun.